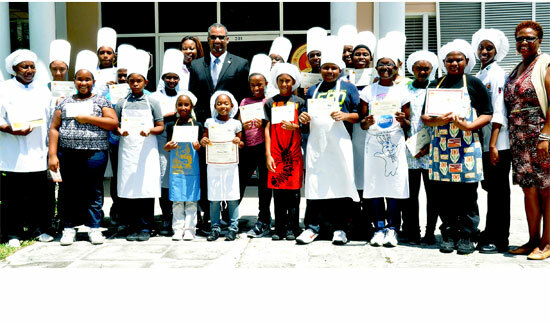 Nineteen young people who participated in the Summer Fun in The Kitchen, 2014 Lil’ Chefs’ Shack Programme sponsored by The College of The Bahamas’ Culinary Hospitality Management Institute (CHMI) received a surprise visit from Jerome Fitzgerald, Minister of Education, Science and Technology on the final day of the programme. The Minister took the time to speak with the children and sample various pastries, appetizers and tropical drinks made by the aspiring chefs. 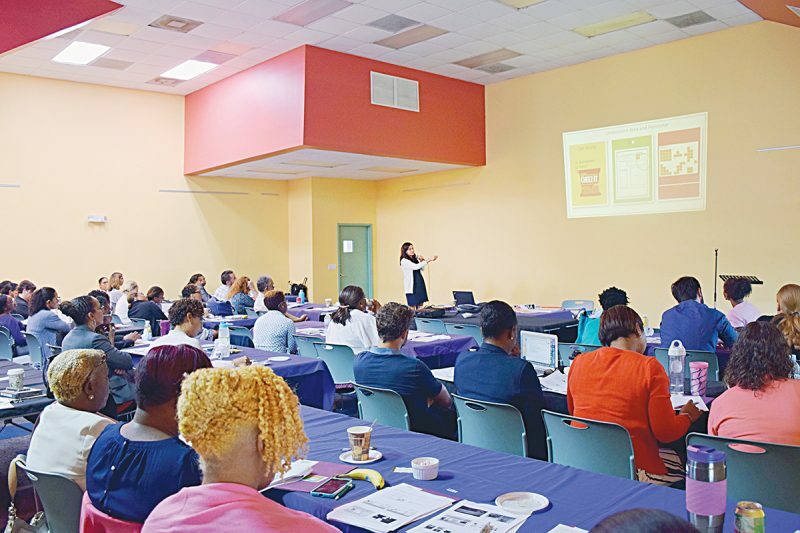 The youngsters spent a week learning culinary essentials such as safety and sanitation and knife skills from facilitators Ms. Sharon Ferguson and Ms. Rachelle Strachan. 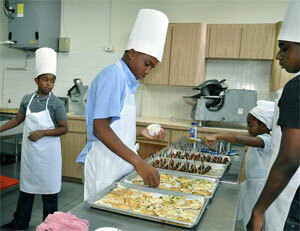 The participants also learned to make popular dishes such as pizzas, fun finger foods, cookies, pastas, chicken souse, peas ‘n rice and fruit salads. 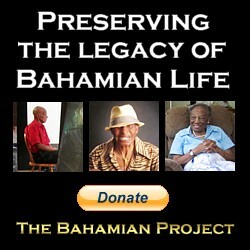 They received certificates at the end of the programme. Harmony Pyfrom was chosen as the Most Outstanding Female and Jovan Bailey was selected as the Most Outstanding Male participant.